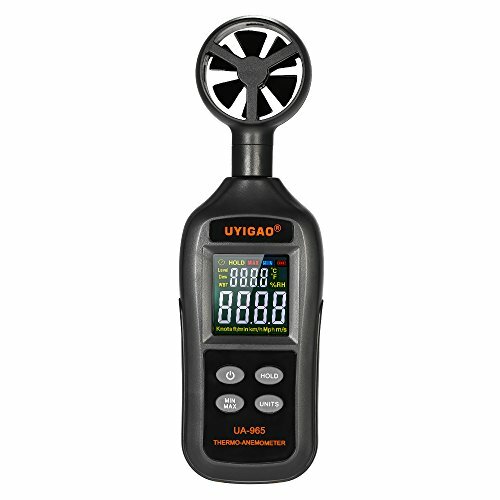 2 in 1 digital anemometer for measuring air velocity(wind speed) and temperature. Temperature units ℃/℉ selection, 5 wind speed units selection: m/s, ft/min, Knots, km/h, Mph. Color LCD display with backlight for easy operation in darkness. Perfect for home and outdoor uses. MAX / MIN / Data Hold functions, high accuracy & fast response. (for all measurement modes). Low battery indication, over range indication, auto power off & energy saving. View More In Wind Speed Gauges.